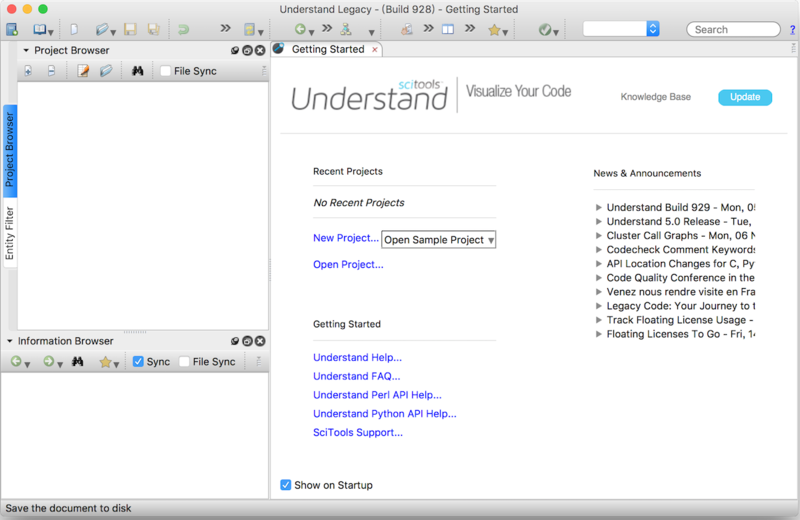 Understand is the Swiss army knife of tools for source navigation, code understanding and static analysis – useful for every practicing software engineer. Fast and easy to use, it is a programmer’s IDE oriented at maintenance tasks. Understand helps development teams working in a rigorous environment where members depend on and review other peoples code and have more complex software estimation and measurement needs. It also helps projects that have complex measurement and estimation needs, IVV/QA tasks, and wish to create customized code checks, documentation, and reports. Languages: C/C++/C$, Java, Jovial, Fortran, Ada, Delphi, PL/M. Graphs: Butterfly, Dependency, Declaration, Control Flow chart, Invocation (call tree). HistoryHound 1.9.12 – Do a fast text search of all recently visited websites. Socialite 1.4.0 – Creates a single interface for multiple social websites.